There is something magical and pure about children’s picture books. Even more than any other books, they teach and bring joy. Furthermore, for younger generations to grow up loving books and being introduced to the wonders of creativity and imagination is a fantastic thing! To all the children’s authors today, I thank you for your work! But today specifically, we honor one particular author and artist who we have sadly lost, children’s author and illustrator John Burningham. 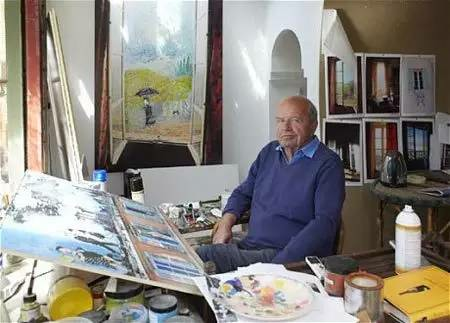 According to his official website, johnburningham.com, Burningham studied illustration and graphic design at the Central School of Art, graduating in 1959. With his degree he worked on several illustration commissions, including posters for London Transport. Each commission was made with whimsy and childlike imagination. 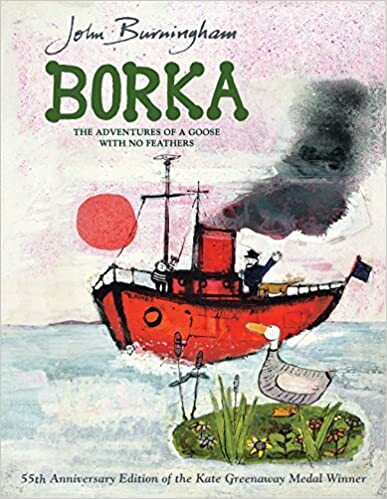 This adorable and, at first, somewhat tragic tale about finding your own way no matter how “different” people may see you, helped jumpstart Burningham’s career in children’s books. Since then John Burningham has illustrated over thirty picture books, that have been translated and distributed all over the world. Included in his vast collection Burningham has also published books collaborating with other artists and writers. 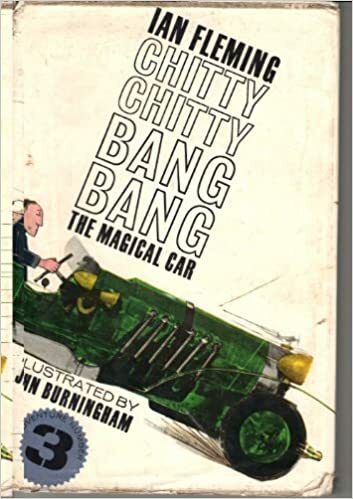 The well-known novel Chitty-Chitty Bang Bang: The Magical Car, which had its own film, entitled Chitty-Chitty Bang Bang, was one book Burningham illustrated . Ian Fleming, best known for his James Bond novels, wrote only one children’s book—and it is a classic! Chitty Chitty Bang Bang is the name of the flying, floating, driving-by-itself automobile that takes the Pott family on a riotous series of adventures as they try to capture a notorious gang of robbers. This is a story filled with humor, adventure, and gadgetry that only a genius like Fleming could create. Burningham also took the challenge of solely writing a book! 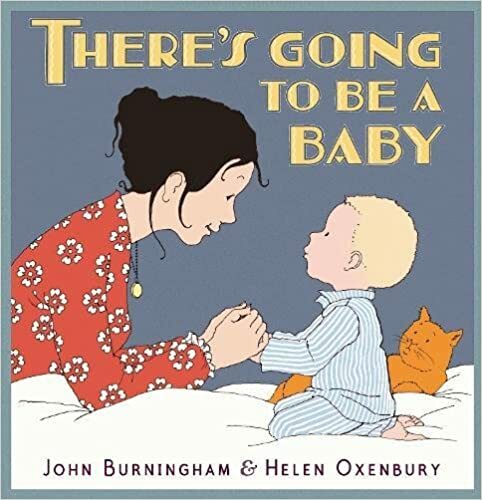 With the help of his wife Helen Oxynbury, who is an illustrator herself, the book There’s Going To Be A Baby was born (pun fully intended)! From two of the world’s best-loved picture-book creators, an absolute gem for new-siblings-to-be. When is the baby coming? What will we call it? What will the baby do? We don’t really need the baby, do we? As the arrival of a new sibling draws nearer, the questions that stream through a young child’s mind are followed with sensitivity and humour in this enchanting book. Exquisitely illustrated by Helen Oxenbury, these pages brim with love, excitement and reassurance as the child in the story imagines all kinds of colourful futures for the brother or sister he is waiting to meet. Full of warmth and promise, this is an instant and timeless classic. This incredibly endearing story book is perfect for ever-growing families, and for the past eight years has been helping parents explain to their children that new baby is on the way. I can imagine it being the perfect project for the Burningham and Oxenbury! Since his start from college as a poster illustrator for his community, he skyrocketed to famous children’s book author and illustrator. John Burman has brought whimsy, joy, and inspiration to the people of London and across the world! In honor of all his work in children’s books, John was awarded with the BookTrust Lifetime Achievement Award last year. His imaginitive and unique stories and charming illustrations will be remembered! Originally published in 2008, J.K. Rowling’s The Tales of Beedle the Bard is getting a gorgeous illustrated revamp in October of this year. Originally mentioned in Harry Potter and the Deathly Hallows, this new edition will feature full-color illustrations alongside the original stories. The Tales of Beedle the Bard include five short stories, “The Wizard in the Hopping Pot,” “The Fortune of Fair Fortune,” “The Warlock’s Hairy Heart,” “Babbitty Rabbitty and Her Crackling Stump,” and most notably, “The Tale of the Three Brothers,” which was featured in both the Deathly Hallows book and movie. Illustrator Chris Riddell has recently posted on his Instagram some previews of his upcoming work in the form of giant, colorful prints at an undisclosed book fair. The deluxe collector’s edition of the stories are set to be published October 2nd of this year.